Frozen and cracked pipes can cause substantial damage to a property. 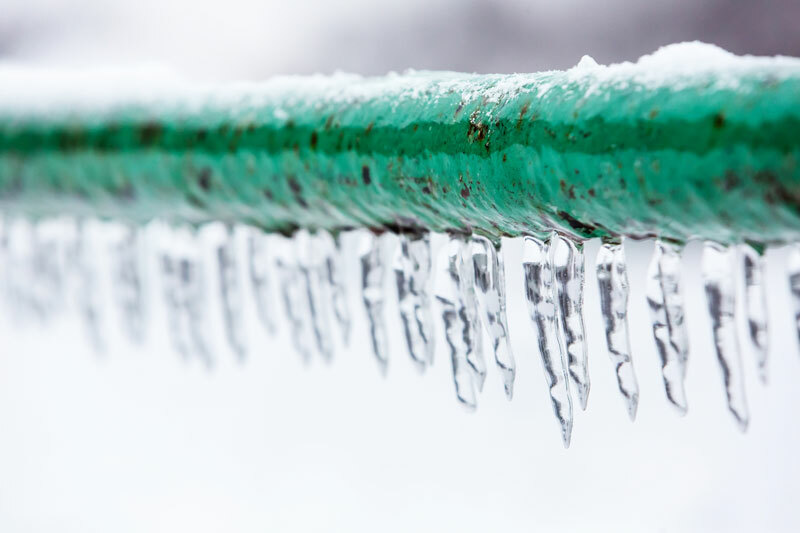 Know how to prevent your home’s pipes from freezing. Homeowners need to consider the risks of frozen pipes in their homes, especially during this winter in Illinois. A 1/8-inch crack in a pipe can spew up to 250 gallons of water a day, causing flood, structural damage, and the immediate potential for mold. Frozen water pipes can occur all over the country, affecting both plastic and copper pipes. It’s all too common, especially considering this damage is largely preventable. Insulate pipes in your home’s crawl spaces and attic, even if you live in a climate where freezing is uncommon. Remember to insulate exterior pipes, as exposed pipes are more susceptible to freezing. Use heat tape or thermostatically controlled heat cables to wrap the pipes. Only use products intended for either interior or exterior, and use accordingly. Seal leaks that allow cold air inside near where pipes are located. Look for air leaks around electrical wiring, dryer vents, and pipes. Caulk or insulate these areas to keep the cold out. Drain exterior pipes if you do not use them during the winter. This reduces the chance of freezing in the short span of pipe. Keep the pipes running – Set the thermostat in your house no lower than 55 degrees Fahrenheit. Never use electrical appliances in areas of standing water. Never try to thaw a pipe with an open flame – This could cause a serious fire hazard. You may be able to thaw a frozen pipe using a hairdryer. Start by warming the pipe as close to the faucet as possible. If your pipes burst, turn off the water at the main shutoff valve in the house. Make sure everyone in your home knows where the water shutoff valve is and how to open and close it. One of the most important parts of preventing disaster is to make sure that you have the right homeowners insurance policy, which can provide the right amount of protection to fit into your lifestyle. Contact Gee Schussler Insurance Agency, serving residents in Orland Park and neighboring cities in Illinois with the right and reliable coverage.